Junction Boxes Surge Arrestors etc. This refers to all KITO® devices which have only one connection. For example, such devices are placed at the end of breather pipes, containers and tanks, for venting to atmosphere. Other examples are at the ends of inlet or outlet pipes inside tanks, end devices e.g. foot valves are used. End of line devices may have very different uses, from weather protection to deflagration safety devices. These are used on vent connections to tanks, containers and pipe systems, explosion proof flame arresters enabling safe, continuous breathing. They are known as deflagration flame arresters and with appropriate design they built a protection against endurance burning (fig.2 and fig. 3). Tanks and containers are able to breathe in from atmosphere and breathe out their vapour / gas in complete safety. Ingress of water and dirt is prevented with a dust cover made from acrylic glass. Alternatively, metallic dust covers are available. In the event of a fire the acrylic glass hood burns away immediately and the metal hood version opens clear of the flame. The heat resulting from the flame burning on the flame element may then escape to the atmosphere. During this time, the KITO® flame arrester element protects the container by preventing any flame path to its flammable contents. This enables the protection against endurance burning (fig. 2). Continuous vapour escape from tanks is both costly and environmentally harmful. Minimum and safe vapour escape is made possible with KITO® high efficiency pressure/vacuum valves, when combined with an endurance burning proof end of line flame arrester. Simple adjustment of the pressure/vacuum relief is made by fitting the appropriate valve weight insert. There are KITO® high-efficiency valves available for pressure relief only, for vacuum relief only (fig. 4.1 and 4.2 – Model with or without spring load) or for combined pressure/vacuum relief (fig. 5). Normally, pressure and vacuum relief flow rates are similar, and combined KITO® high-efficiency pressure/vacuum relief valve is recommended. Where pressure/vacuum flow rates differ widely (e.g. with large tanks), separate KITO® high-efficiency pressure and vacuum valves are usually more economical. 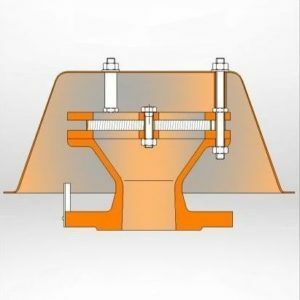 We offer to calculate the number, size and type of valve(s) for your specific purpose and satisfy all applicable regulations. In order to offer the most economical solution we need information for the tank, allowable pressure/vacuum, pump flow details and specific characteristics of the product. 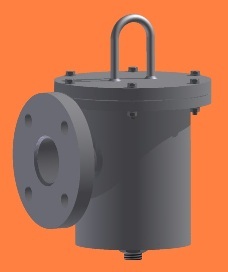 The KITO® valves (end of line devices) are conceived as protection against inadmissible pressure and/or vacuum as well as to contain unprofitable and polluting vapour escape. There are KITO® valves for pressure, for vacuum (fig. 6) or combined pressure/vacuum (fig. 7), each with or without spring, depending on reaction pressure. In many cases where the volume flows are similar for pressure and vacuum we recommend a combined KITO® breather relief valve. However, where the volume flows strongly differ (e.g. on large tanks with differing pump flow rates for filling and discharging) the installation of separate KITO® breather relief valves is usually more economical.